1. You can create and manage your CMK encryption keys. 2. For encryption and decryption of your log files, you can use single CMK; even for multiple accounts in all region. 3. Also, you can assign permissions to your organization’s users for encryption and decryption with your key. To implement this feature you don’t have to do much. All you need to do is to create and manage your KMS key, which is your Customer Master Key (CMK). Then assign a policy to it with which you can assign the users, the rights of encryption and decryption of your CloudTrail log files. This also makes your S3 decryption seamless. This means, when an authorized user of the key reads a CloudTrail Log file, S3 ensures that user reads the decrypted form only. Why do you need supervision of Centilytics? Centilytics checks and warns you about the log files that are not encrypted. 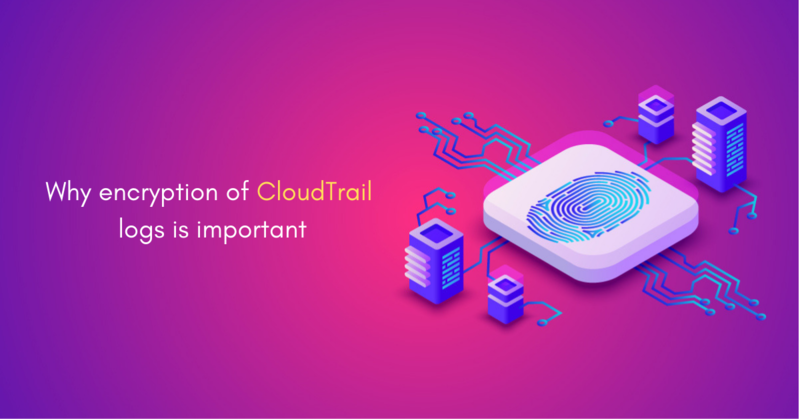 For better understanding, our CloudTrail log encryption insight lists down the trail name of your CloudTrail log along with its respective Account ID and KMS ID. With the help of KMS ID, it becomes easier to understand that your logs are encrypted or not. Ok: CloudTrail Logs has been encrypted at rest. Trail Name: Shows the name of the trail that you have entered while creating your trail. KMS ID: Shows the ID which is used to encrypt your CloudTrail logs. Region Applying region filter will display all the public snapshots corresponding to the selected region. Resource Tags Applying resource tags filter will display those public snapshots which have been assigned the selected resource tag. For e.g., If the user has tagged some public snapshots by a resource tag named environment, then selecting an environment from the resource tags filter will display all those snapshots. Previous articleHow AWS Kinesis service limits help you avoid misuse of resources?